In an example below the pressure of the steam is 3 bars and the temperature is 134 Cº. Temperatures of the water to be heated up are 10 – 55 Cº. The pressure loss of the water is 50 kPa. 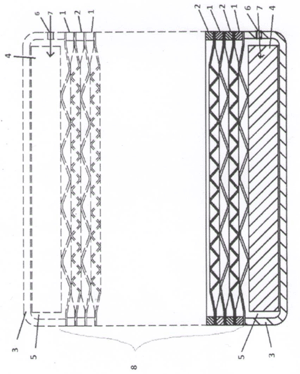 The diameter of the heat exchanger is 240 mm. Note! In applications of heating up the water by steam, the care of the right timely and slowly way of working of the steam valve shall be taken care of in order to avoid the corrosion of chloride salts at excessive high temperatures. To promote that purpose, it is useful to arrange continuous flow of the water through the heat exchanger. In excessive conditions the better corrosion sustaining material than AISI316L can be chosen.